Available on IRM and 1 other release. Available on Heaven Can Wait Remixes. 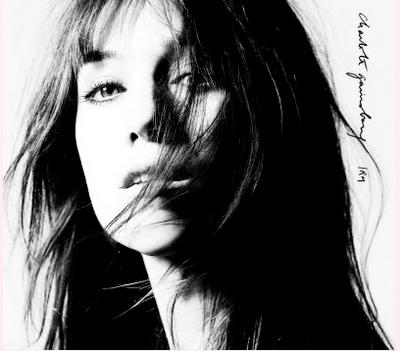 "Heaven Can Wait" can be found on IRM, the Charlotte Gainsbourg album that Beck co-produced and wrote. The track is a duet between Charlotte and Beck, and is one of the singles from the album. A surreal video was made for the song. The song is the one real duet on IRM between Charlotte and Beck. Beck said that "I sang back-up vocal and we left it on there. I had meant to take it off. She liked it. Her manager liked it. So we left it. I think, initially, I wanted to be somewhat transparent." I think the song is a fairly interesting one, though in some respects, it feels like it could easily go much deeper. The first verse seems to be about contrasts, being torn between heaven and hell, life and death, good and bad, "somewhere between what you need and what you know." Fairly typical existential stuff, really: at what point do you live in the now, or do you fight your destructive urges? The path to heaven (escalator) is not easy (driven into the ground). The second verse, with its "avalanche of faces you know" reminds me of "Chemtrails," where there is a "sea full of people" (try not to drown). This use of humanity as an overwhelming destructive force: I find it very powerful. Finally, the song looks at life as a transition, a journey (a Greyhound station). Even if there are all the contrasts mentioned in the first verse, perhaps it is the travel from one to the other that makes life. Heaven can wait, hell's too far to go, where does that leave you? Without a "first aid kit and a flashlight, going to a desert unknown." Existentialism is a complex philosophy, and I do not claim any sort of expertise. But there are a few strands of it, and while most disavow afterlife completely, there are some that still write of it. Basically, it is the idea that "existential despair leads an individual to an awareness of God's infinite nature." I think this song recognizes that idea, and plays off the difference between despair and heaven and how they're related (metaphorically or otherwise). At one of Beck's shows in France in 2013, Charlotte Gainsbourg joined him on stage to duet on this song.